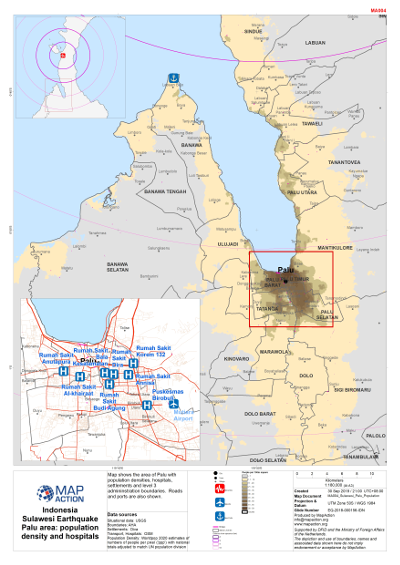 Map shows population density in the Palu area, hospitals, level 3 admininstration boundaries and settlements. 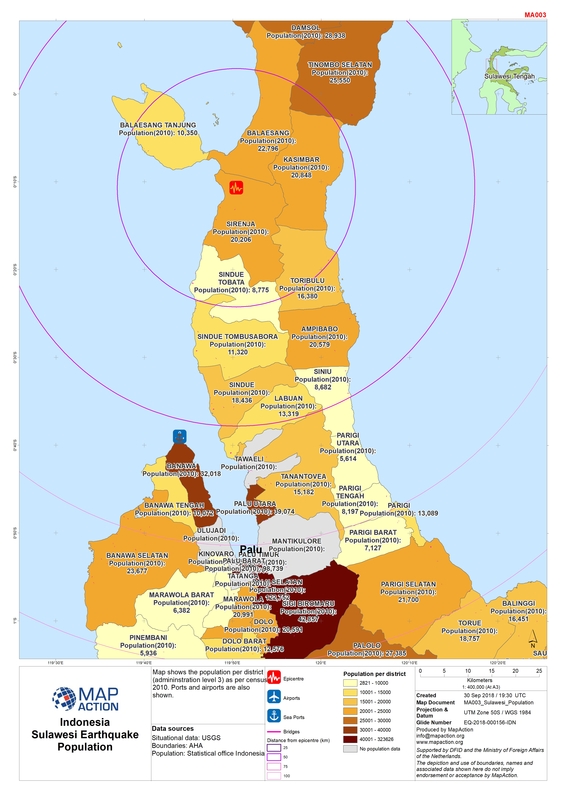 Map shows population per district (admininstration level 3). Ports are also shown. 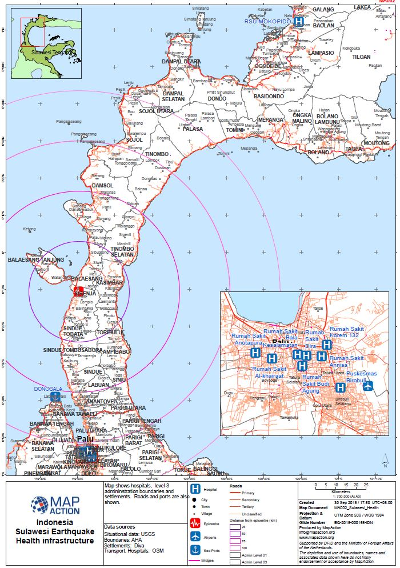 Map shows hospitals, level 3 admininstration boundaries and settlements. 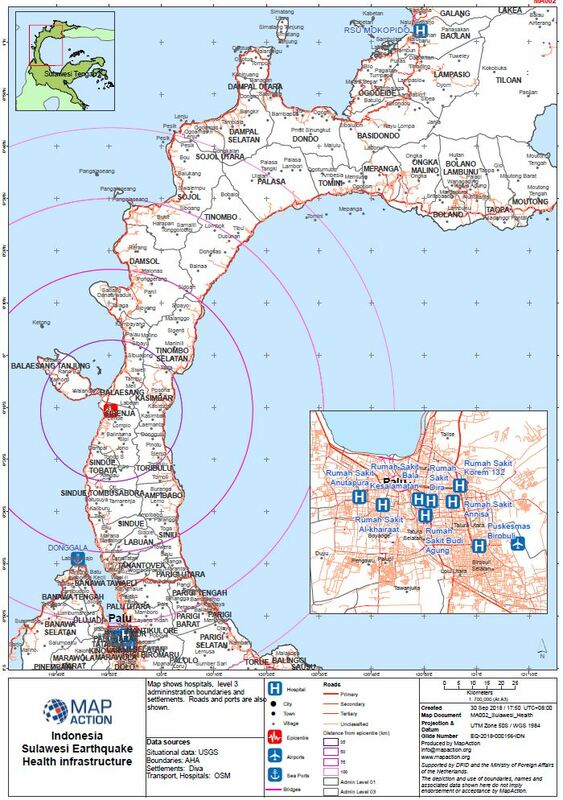 Roads and ports are also shown.